What an absolutely gorgeous day for an outdoor wedding! 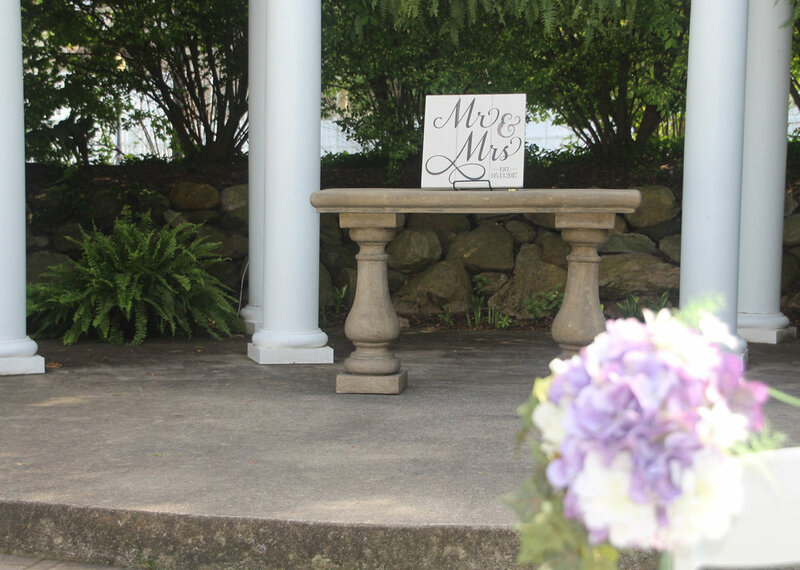 Their unity ceremony was a love lock that was locked onto a Mr. and Mrs. board. The lock does not have a key and will never be removed from this board. Love locks have been popular in Europe for years and I love the idea of adding it to your wedding ceremony. The "Piano Man" send-off was a fitting end to a perfect evening! The ballroom was beautiful with purple downlighting, crystals draping the wall behind the head table and the ceiling. 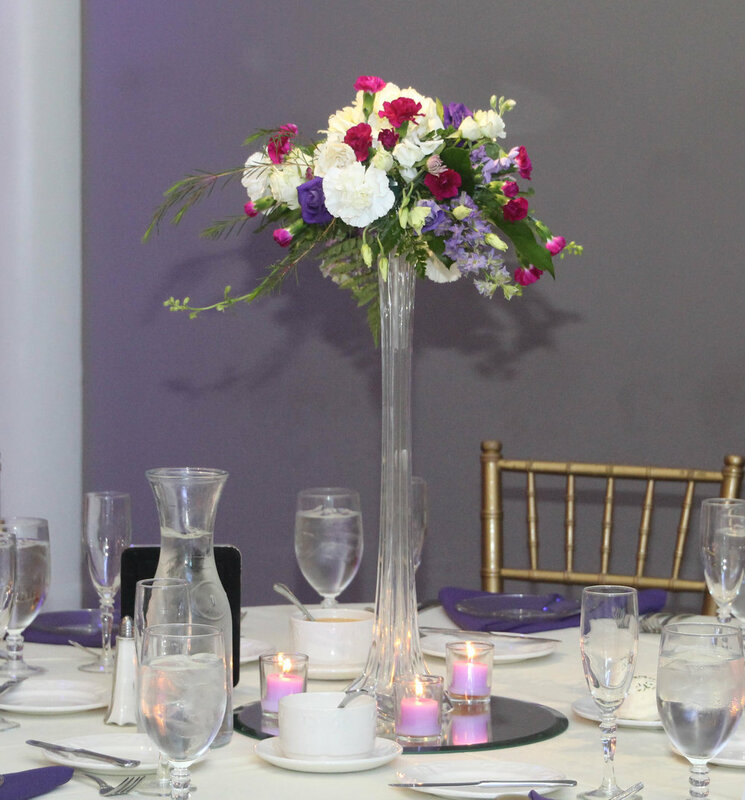 The centerpieces were beautiful and really popped under the pin lighting. Congratulations to Lauren and Matt! Many, many years of happiness to you both.